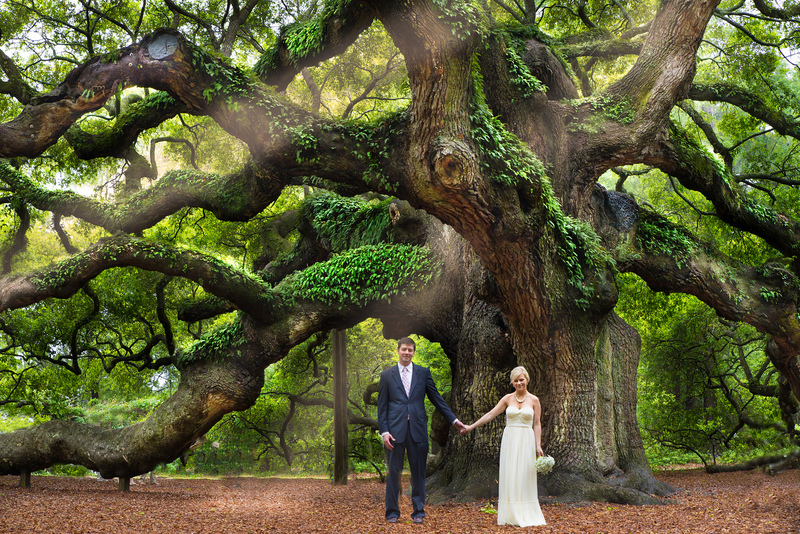 Allstate tells the story of the Angel Oak on Johns Island, South Carolina (known as “The Tree” by locals). It’s rumored that it is the oldest living thing east of the Mississippi River and remains standing despite all the harsh weather and natural disasters it has faced over the past 500 years. Allstate likens its strength to the resilience that resides in us all and says it’s humbled by the courage shown by Hurricane Florence victims, offering up helping hands in partnership with the American Red Cross. Dennis Haysbert narrates the ad, but without appearing himself, as he does in several other Allstate ads. It’s not the oldest tree east of the Mississippi; there are cypress trees much older even in South Carolina. The name “Angel Oak” comes from the surname of a man who owned the land once, not from any angelic action or legend. Even through corrections of the legends, the tree stands, a beautiful monument to endurance of living things, and trees. Allstate’s ad is a feel-good moment, and the feelings are worthwhile. Endurance through adversity is a virtue. The Angel Oak itself suffered great damage in a 1942 hurricane, but recovered. Here’s a tourist video showing off more the tree, and the supports used to keep branches alive, similar to the supports we saw in China supporting 2,000-year-old trees. Honoring trees is a worldwide tradition, and a great one. We don’t honor trees nearly enough, in my opinion. Most of the limbs of Angel Oak run almost parallel to the ground. Over time, dust, seeds and spores settle along the branches. Ferns and other greenery now grow along the massive branches, making even the trunk appear green. We passed this garage on the way to Mt. Ranier National Park, on a day in August when smoke from global-warming aggravated fires in British Columbia almost obscured one of America’s biggest, mist obvious mountains. That’s part of the yellow tint to the light. A lot of voters have second thoughts. Will you vote to fix things, this November? Born in Baltimore, Maryland, September 12, 1880: Henry Louis Mencken. But I missed it. It’s worth noting a day or so late, though, just for his creed. Mencken is the guy who invented the Millard Fillmore bathtub hoax. I believe that religion, generally speaking, has been a curse to mankind – that its modest and greatly overestimated services on the ethical side have been more than overcome by the damage it has done to clear and honest thinking. I – But the whole thing, after all, may be put very simply. I believe that it is better to tell the truth than to lie. I believe that it is better to be free than to be a slave. And I believe that it is better to know than be ignorant. The Mencken Society in Baltimore plans a commemoration of Mencken at the Enoch Pratt Free Library, on Saturday, September 15, 2018, starting at 10:30 a.m. It would be a great day to be in Baltimore. 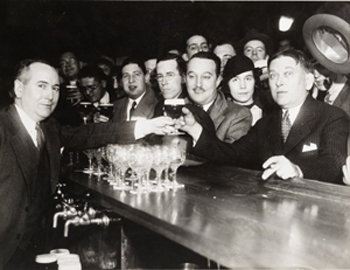 There are reports that Mencken’s beer was an Arrow Beer, at the bar of the Hotel Rennert in Baltimore. Is that accurate? The Hotel Rennert stood at the corner of Saratoga and Liberty Streets, at 31 West Saratoga Street. It was torn down in the 1940s. Baltimore’s Hotel Rennert, torn down in the 1940s, stood at the corner of Saratoga and Liberty Streets. Photo from the Maryland Historical Society. Yes, I know Mencken had many unpleasant views. He didn’t relish the title “curmudgeon” because it was wrong. Oakland side of San Francisco Bay has a stunning string of parks from the water’s edge, following abandoned rail lines, through parks in the city, wending and winding up into the mountains into real wilderness. It’s impressive, decades later, to remember the President’s Commission on Americans Outdoors touring these sites as they were being redeveloped from abandoned industrial sites, real brownfield recovery — and see what a grand complex it is now. And there, one may find a newt crossing one’s path. Watch out for the newts! 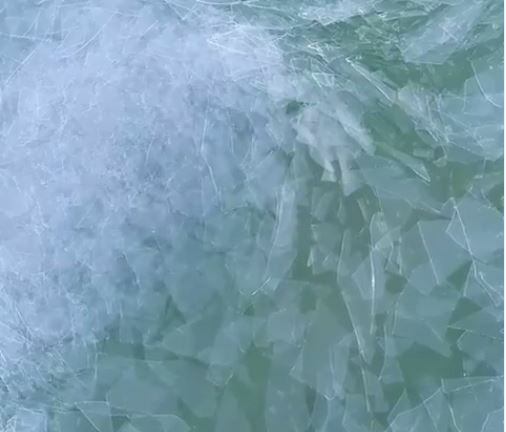 Moving ice on Utah Lake, from a drone movie by Bill Church, screen capture. Where does the great @BillChurchPhoto post his photos? (Update: On Instagram, and sales at BillChurchPhoto.com.) His work around Utah Lake, and Utah, is spectacular (and I hope people buy his images so he’s making money off of the great art he’s captured). Here is a photo of plain old Utah Lake, in February. Church makes it look beautiful and exciting, instead of just cold and muddy. 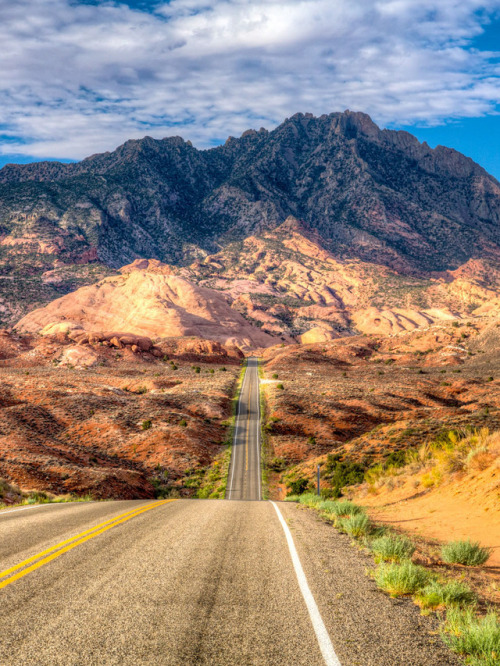 Tip of the old scrub brush to Utah State Parks on Twitter. Perils of self-publishing, a book lovers’ event! Poster on the event! “Joys and Perils of Self-Publishing,” April 26, 6:00 p.m., Half-Price Books at Northwest Highway in Dallas (the Mother Ship). Bob Reitz and Gardner Smith. Bob Reitz is the curator of the Jack Harbin Museum at Camp Wisdom, one of the finest museums of Scout materials in the country, focused on Scouting in the Circle 10 Council BSA (Dallas and surrounding counties). He and Gardner Smith trek and travel about Texas and the West, and for a time published a series of exquisite books, string bound, fancy paper, and extraordinary content. Great reads. This presentation is probably a good one for authors, publishers, book lovers, poetry lovers and travelers. I wonder if there is CPE credit available — and for which professions? Bob Reitz at an earlier presentation, on Dallas history.